Paul O’Connor was great to deal with. He helped with everything from start to finish on the sale of our home and even offered to help with the moving of our furniture to our new home. 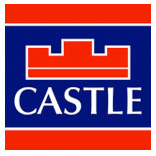 We couldn’t recommend Paul and Castle estate agents more, he was brilliant.